Intel will officially launch its new Intel X299 chipset on May 30, according to a report from Taiwanese supply chain tracker Digitimes. 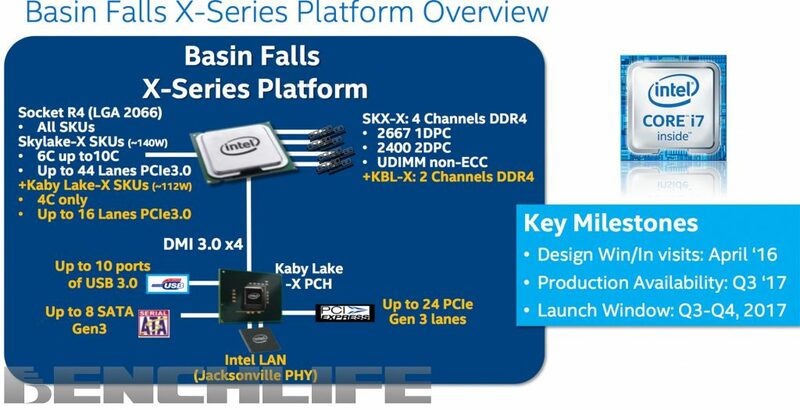 So you can expect the future arrival of a large number of motherboards next to the family of Intel Kaby Lake X and Skylake X processor, made up of 4, 6, 8, 10 and 12 cores. These new processors will directly compete with the AMD X399, which will give life to the high performance AMD Ryzen processors (HEDT) models of up to 16 cores. This new platform involves the arrival of a new socket, the LGA2066. At the chipset level, there is no notable improvement, the only improvements will be in the processors. Intel Skylake X and Kaby Lake X launch presentation will coincide with one of the most popular events in the world, Computex, which will take place from May 30 to June 3. Intel Kaby Lake X will be the current successor of the Kaby Lake, processors from this series will be limited to 4 cores and would have a TDP increase to 112W (far from the 95W of Ryzen 8 cores processors) also new processors would not include the integrated graphics to allow to squeeze even more cores. Intel Skylake X Processors are high – performance models of 6 to 10 cores with up to 44 PCI-Express 3.0 lines and driving a TDP of 140W.